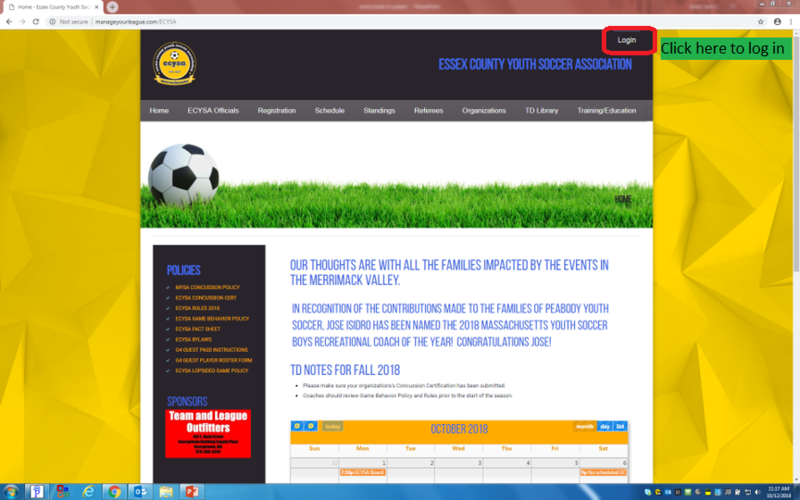 This page provides information to coaches on how to obtain the contact information for opposing coaches, and on how to correct your own contact information in case an opposing coach needs to contact you. First, log into the system. If you do not have login credentials, contact us. If you have multiple sets of credentials (for example, you coach and referee), then be sure to log in as a coach. Once logged in, you should see a "Coach" option near the top of the screen. Click on it. If you do not see a "Coach" option, then the system is not recognizing you as a coach. Check your credentials. If you still are having problems, contact us. 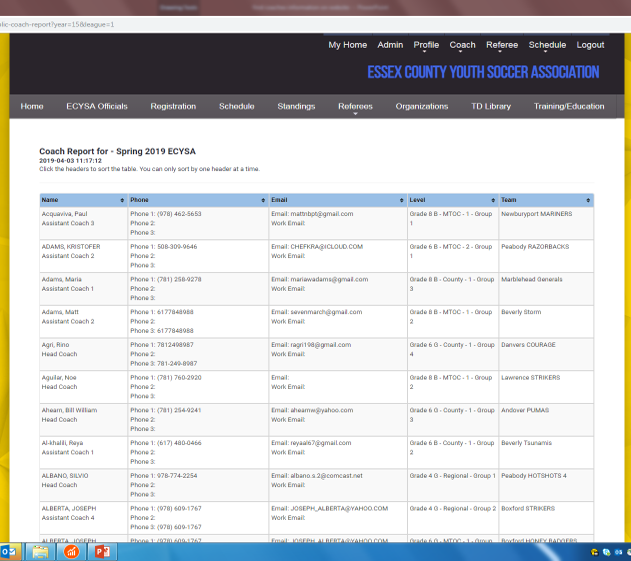 After clicking on the Coach option, you should see a team that you are coaching listed. Click the team. This will bring up another menu with additional options. Click Coach Contact List. 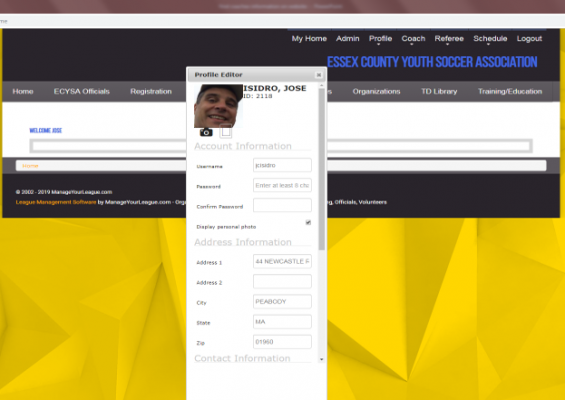 The system should now provide you with the contact information for your opponents. Sometimes the contact information we have for you in our system is out of date (or was never entered). It's a simple matter for you to update the information. After logging in, click on the Profile option, and then your name. Then update the information in your profile.